Dr. Frank Dowling is a graduate of SUNY at Stony Brook School of Medicine and completed his residency in Psychiatry at University Hospital at Stony Brook where he is now an Associate Professor of Clinical Psychiatry. Dr. Dowling has been a principal investigator for several years with the Stony Brook Depression Study Center working in treatment studies of patients with chronic depression. Dr. Dowling has received several honors and professional recognitions such as the APA’s Bruno Lima Award given for significant contributions to the care and understanding of victims of disaster. 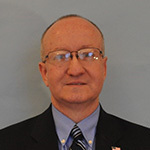 Dr. Dowling is the Medical Advisor to POPPA (Police Organization Providing Peer Assistance), a confidential, non-departmental voluntary assistance program for NYPD officers, and has a private practice in Islandia, NY, specializing in the treatment of emergency responders and healthcare professionals. Dr. Dowling is an active member in various professional organizations, including to the American Psychiatric Association, NY State Psychiatric Association, International Critical Incident Stress Foundation, Group for the Advancement of Psychiatry Disaster & Terrorism Committee, AMA, and the Medical Society of the State of NY. He has served as Co-Chair of the Addiction and Psychiatric Medicine Committee, Vice Chair of the Emergency Preparedness Committee and is currently serving as Assistant Commissioner of Public Health and Science for the Medical Society of the State of New York. Dr. Rachna Sharma is an experienced psychiatrist with board certifications in both General, and Childhood and Adolescent Psychiatry. She completed her medical internship and adult psychiatry training at Stony Brook University Medical Center and her fellowship in Child and Adolescent Psychiatry at NSLIJHS/Albert Einstein College of Medicine at Long Island Jewish Medical Center. She also completed her psychodynamic psychotherapy training the NYU Psychoanalytical Institute. Dr. Sharma specializes in the diagnosis and treatment of mood disorders, anxiety disorders, PTSD and eating disorders. While she has extensive training and experience with prescribing medications, she also has extensive experience in providing individual psychotherapy. She also serves as a consultant to the Stony Brook World Trade Center Medical Monitoring Program. She currently has a private practice and is on the staff at Brookhaven Memorial Hospital as an attending physician. 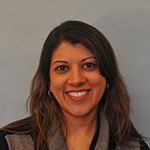 Dr. Sharma is also an active member of various professional organizations including the American Academy of Child and Adolescent Psychiatry, Suffolk County Medical Society, Medical Society of the State of New York, National Eating Disorder Association, and the International Association of Eating Disorders Professionals. Darlene is a graduate of the College of Boca Raton, Florida. She has several years experience in business/office management and has been an integral part of Dr. Dowling’s office staff for several years. 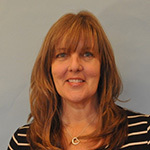 Darlene is the TMS Coordinator and a Certified Technician for Transcranial Magnetic Stimulation Therapy. In addition, she is a patient advocate for insurance authorizations, coordination of care, patient insurance reimbursement and appeals. Frank is a graduate of Suffolk County Community College. 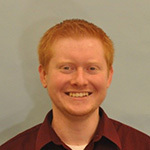 He has been with LIBM for over 5 years as the assistant office manager and is a certified TMS technician. Frank’s energy and knowledge is comforting for our TMS patients during treatments.